There is a large variety of equipment and toys. Look through the books for tips and ideas on how to use them. Wisconsin's outdoor conditions can be a challenge. Although it is not heated, you won't have to worry about rain, snow, wind, mosquitoes and everything in between. 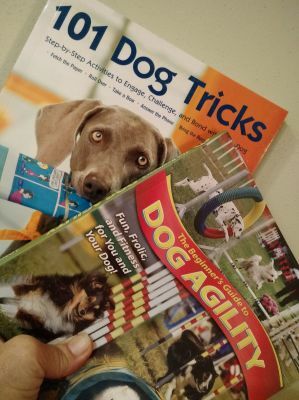 Challenge your dogs brain with some fun, interactive equipment. ​or share with someone you choose. So many things to do! 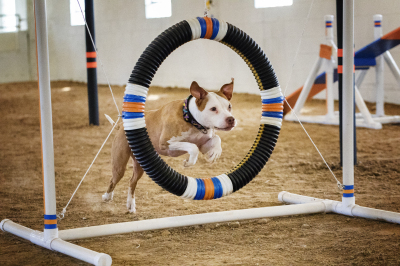 Challenge your dog and yourself. Teach a new trick. There are some fun props provided. Learn to use the Play Equipment. There are books available to help you. Play hide and seek with a favorite toy. Or simply throw a ball or frisbee. No ball launchers of any type please. There are lots of windows and lights. Hand throwing is fine. 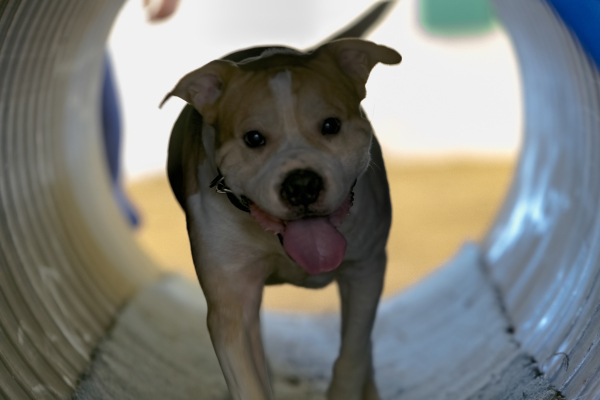 You can share the Indoor Playground with anyone you choose. 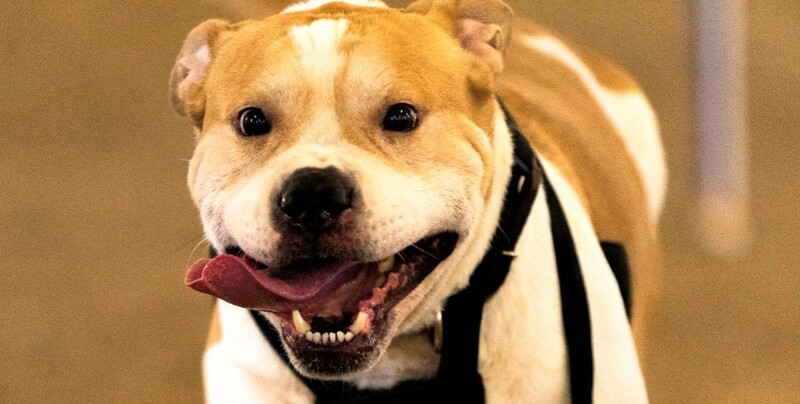 You no longer need to worry about unfamiliar dogs or people. Does your dog have a favorite playpal? The price includes 2 dogs. 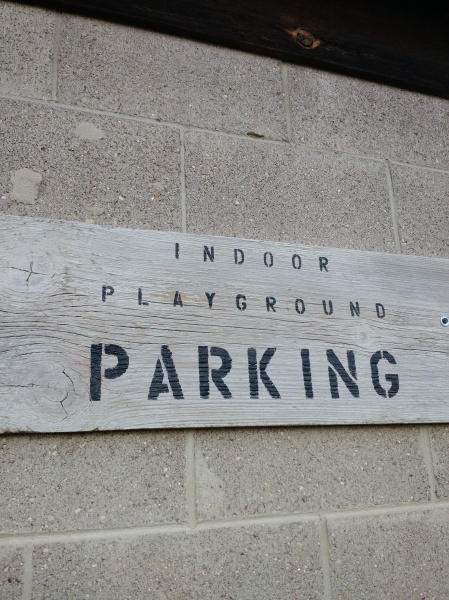 Bring them to the Indoor Playground to play when the outdoor elements aren't cooperating. Be sure to bring your own water. There is a bowl available for your use if you choose. ​​If you are new to the park, please fill out our 3 easy forms. You can go to the "Forms" link above to print, or they are available inside the Playground. Drop them in the deposit box along with your payment. There are envelopes provided for you to fill out each time you come. This ensures your payment is credited to you. The building is very well lit for those cloudy days and dark winter nights. ​Checks payable to My Dog And Me Park and cash accepted. Be sure to bring exact change. 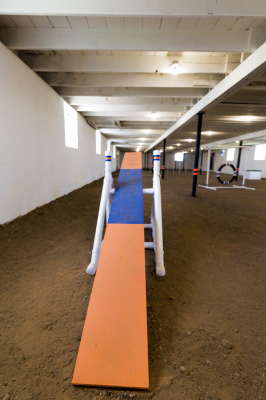 All the supplies you need to clean up after your dog are provided to keep the facility enjoyable for all. There are no public facilities available so please plan ahead.